Foscam has set out to create a feature rich home security camera in a tiny package which they’ve definitely achieved! The Foscam R2 an inconspicuous looking camera. 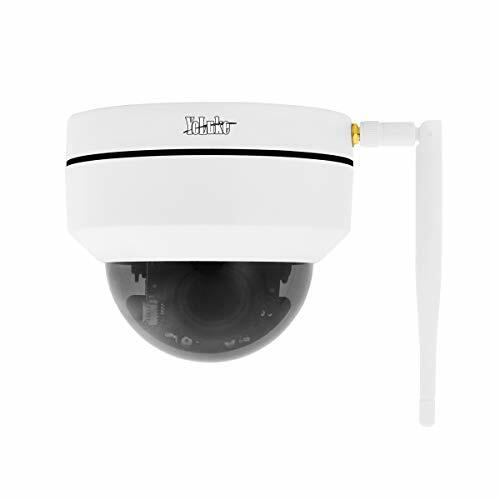 With its sleek design coming in a black or white colour it is approximately 20% small than most of it’s leading competitors in the IP camera market. The Foscram R2 allows for easy set up with its plug and pay design being controlled by an app running the Android or iOS mobile platform. The R2 not only looks good in its small package but also provides great functionality. The R2 offers it’s user a full HD video camera with the ability to record in different resolutions. To support this the camera lens has a wide 110degrees field of view and tilt and pan functionality allowing the camera to capture whatever is happening in the room. 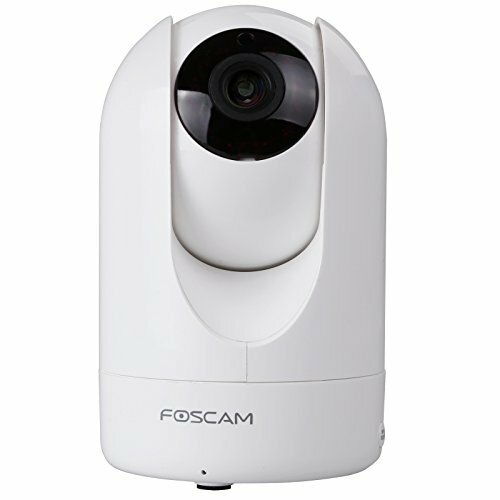 With the addition of night-vision technology and the ability to trigger a range of recording and push features through motion technology, the Foscram R2 becomes an excellent addition to any home security set up. Combining these features with its ability to record directly onto an SD card, to an NVR or even one of the Foscram cloud services you can decide which method best suits you. When using the wires functionality of this camera you can also really start to utilise its wide range of features. Besides the Foscram app being required for setting up it also allow for remote viewing and access to the camera’s tilt and pan features with an impressive range of motion. The online features also allow for 2 way talkback you can communicate to anyone in earshot of the camera using its built-in mic making it ideal as a nanny cam as well as security. The Foscam R2 really shines with many strong features even for its small size. The video can be recorded in either 1080p or 720p allowing you to focus on quality or make a small sacrifice in resolution to enable more recording time onto your selected storage method. 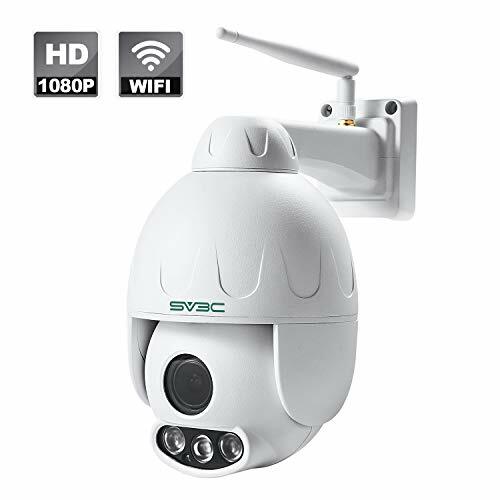 With the inclusion of motion sensor technology as well this camera is well suited to recording security in a home or business being able to utilise it’s local or cloud base storage capacity exceptionally well. 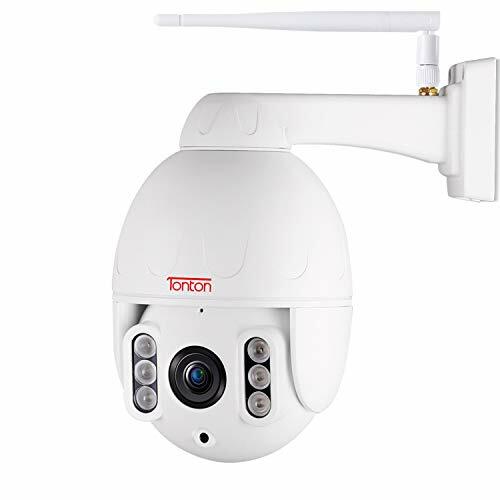 As this camera also allows an IP connection over wi-fi you can make sure that all of the captured videos is backed up on both the SD card and a cloud-based service. Including 8x digital zoom, 300degrees of panning motion and 100degrees of tilt you can also utilise this camera for real-time purposes through the intuitive Foscram app on either an iOS or Android device whilst also using the onboard speaker for 2 way audio. The device also features an impressive night vision function with the ability to record footage at up to 26ft. away. Thanks to the device being able to use an SD card or being able to utilise an FTP server you are not forced to use any subscription based cloud services although the option is available if required. With a great range of features in a small package, with almost as small a price tag, this Camera is a favourite for many people and we can see why. 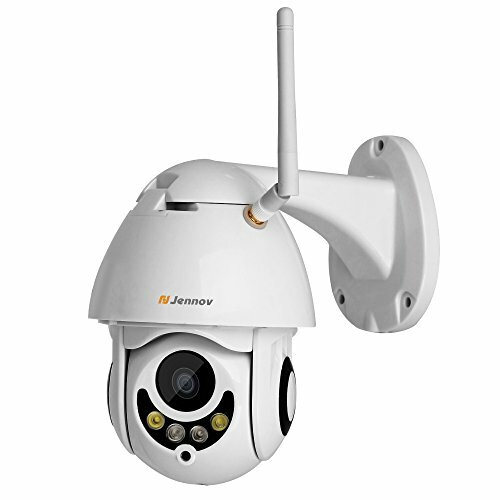 It acts as an excellent substitute for a traditional CCTV systems. With the ability to record locally, backup online and view your feed live we can see why this is a go-to choice for security uses. 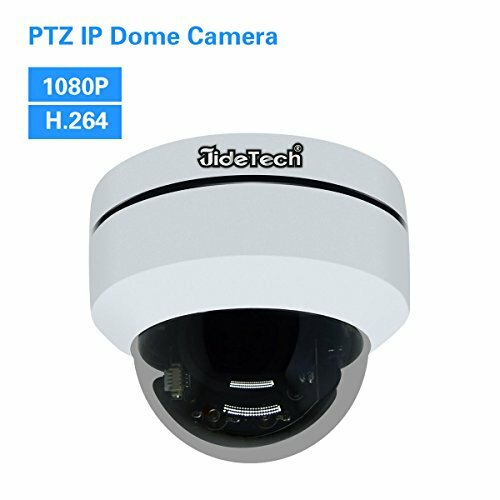 You would expect the modest price to also come with a conservative feature list but with many features you would expect to see on a model IP camera such as 2 way talk, night vision, full HD recording and the ability to pan and tilt using the R2s surprisingly quiet motors we can see why it’s a song contender for anyone looking to buy a new camera.